Halfway through her Ph.D., Jennifer Jaine’s faith has been shaken. She has become convinced that the Catholic church’s authority is based on a lie. Desperate to prove herself wrong, she goes to the Vatican, only to be caught up in an international hunt for the truth about the church, the Pope, and how Jesus intended his followers to live their faith. 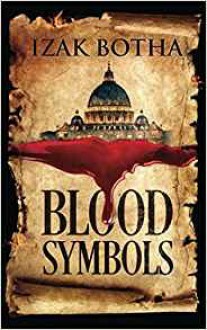 A stolen artifact, a mysterious murder, and an escaping intruder lead Jennifer from the Vatican to the streets of Rome to the Cave Church of St. Peter in Turkey, where she discovers a secret that could delegitimize the Pope. Chased by scheming cardinals and the trigger-happy head of Vatican security, assisted only by an elderly professor, the son of an Italian Mafioso, and a mysterious—but handsome—Turk, Jennifer must decide whether to become complicit in the church’s duplicity or shake the foundations of the planet’s most dominant religion.